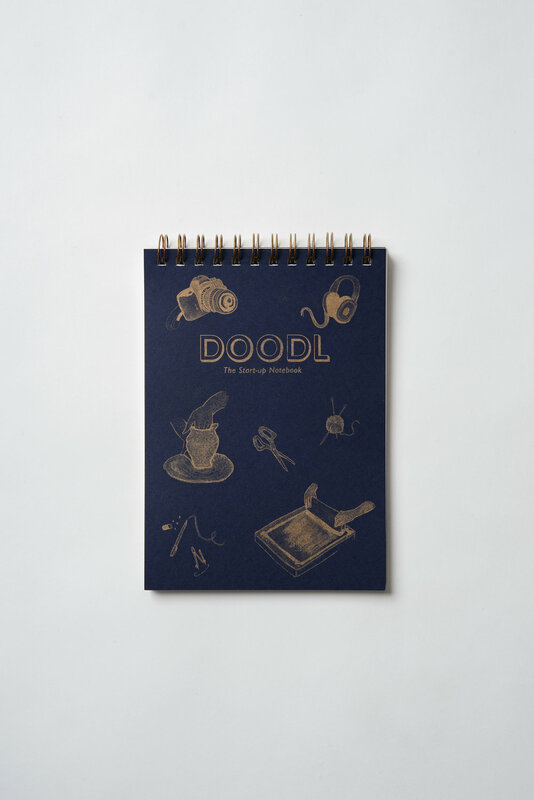 The Real Creative Futures programme have produced Doodl, a really cool notebook geared to helping creative entrepreneurs think about some of the questions they need to consider when looking at establishing a new enterprise. Keeping it local, Doodl has been designed by local print ‘junkies’ Dizzy Ink, and wonderfully illustrated by Emily Catherine Illustration, both who have received support through the RCF programme. They both wanted to share some of their experience in establishing creative enterprises in a fun and creative way. Doodl was supported by Fedrigoni, the fabulous paper makers and print stock providers and beautiful photography captured by local photographer Jack Neville. Real Creative Futures is part of the Big House programme providing support to creative and digital entrepreneurs and SME’s in and Derby/Derbyshire Nottingham/Nottinghamshire running currently until September 2019. Doodl will be given out to all those participants on the RCF programme, so hopefully you will find the notebook both informative and a practical way of jotting down those memorable experiences. You can pick your Doodl up from a Real Creative Futures event or contact the team and arrange to collect it from New Art Exchange.